He was "The Phoenix of Wits" and "Monster of Nature" by Miguel de Cervantes because he did so much work. Lope de Vega renewed the Spanish theatre when people were becoming interested in it. 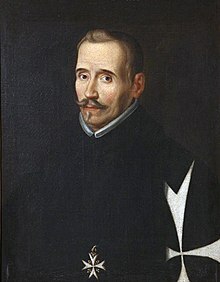 Along with Calderón de la Barca and Tirso de Molina, he improved Spanish theater. He is considered a great dramatist and his plays are often performed. He is also one of the famous Spanish poets and authors. Lope de Vega was born in Madrid to a non-notable family, who came to the capital from Valle de Carriedo in Cantabria recently. Félix de Vega, the bread winner of the family, was an embroiderer. This page was last changed on 9 March 2015, at 06:00.